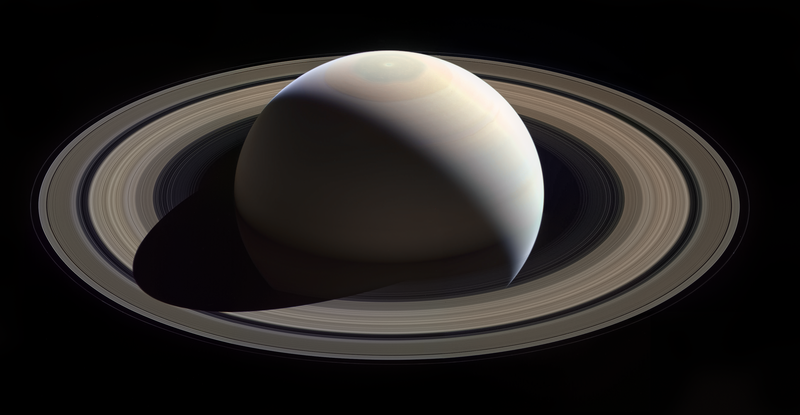 It’s official: The abyss between Saturn and its rings is empty. After Cassini’s first dive through on April 26, scientists confirmed that there is practically no dust in the gap, which has some puzzled. The measurements came from Cassini’s Radio and Plasma Wave Science (RPWS) instrument, one of the long antennas that protrudes from the spacecraft. This instrument transmits a “ping” when dust hits it. As expected, when Cassini flew inside the rings, there were several pings, which sound like pops and cracks over the usual eery whistling sounds, signaling a ton of dust. But, in the empty region, there were very few pings at all and the whistle remained clear. The scientists even prepared Cassini for these dives by orienting its main antenna into a shield to block any oncoming particles. But, it seems now that it’s clear skies for the remainder of the most daring part of Cassini’s Grand Finale. The spacecraft has 21 dives left, the second of which will be at 3:38 p.m. Eastern on Tuesday.